Songs about the relationship between the recorded musician and listener, and "art" as an attempt to be loved and get closer to people but it (or speech) can't quite reach across the gap (or differences) between speaker and listener, despite the fact that we are all essentially the same person, or at least we were born the same and are now disguised by how our particular experience has changed us. Thus, perhaps listening to (or making) recorded music and other solitary entertainment like watching television are a product (and perpetuater) of loneliness. 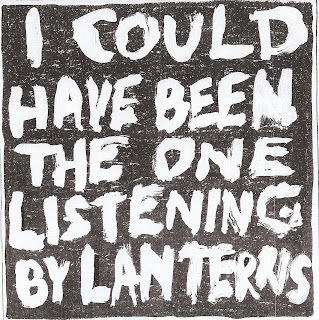 This is the 3rd Lanterns full-length, released in May 2008.